Price Range £155 - £156Price RangeSimply drag the slider bar to set your price range. The HJC RPHA Jet has a premium integrated matrix outer shell which consists of three materials; carbon fibre, aramid fibres and fibreglass. This creates a unique woven blend that produces a shell both remarkably strong and light. 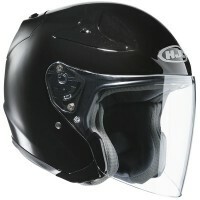 The advanced channeling ventilation system allows full front to back airflow which flushes hot air up and out of the helmet. The Cool4Ever interior has a glasses grove to reduce temporal pressure and is made from a lightweight, moisture wicking, anti-bacterial fabric with Ginkgo extract. 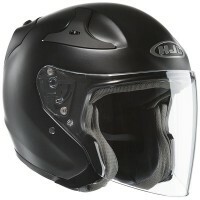 The visor is anti-fog treated and the helmet is supplied with a dark smoked visor included.